The HR-100C is a great device for training casually. The device does not come with a lot of fancy features owing to the price but it just does enough to prove itself as a good heart rate monitor. Omron Healthcare, Inc. is a household name in the field of fitness equipment. With products such as pedometers, heart rate monitors and an activity tracker, Omron is the market leader in the industry. The HR-100C is the most affordable and the simplest of Omron’s line of heart rate monitors. It constitutes of a wrist band which acts as a display unit and a chest transmitter that is to be mounted on the upper abdomen to transmit data to the display unit. 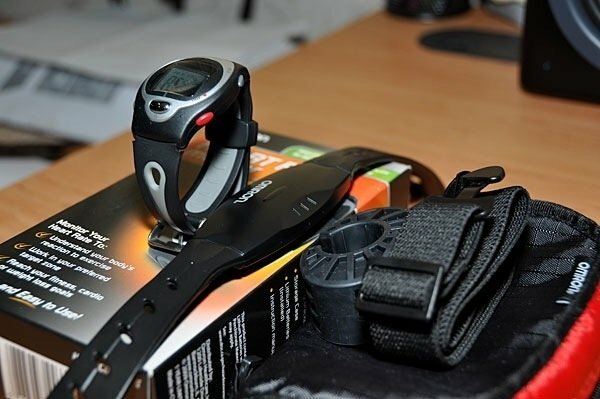 The heart rate monitor is very easy to program and helps maintain your heart beat according to the circumstances. The monitor and device are highly durable and are water resistant till up to 98 meters. Omron offers the equipment with a warranty of 5 years. 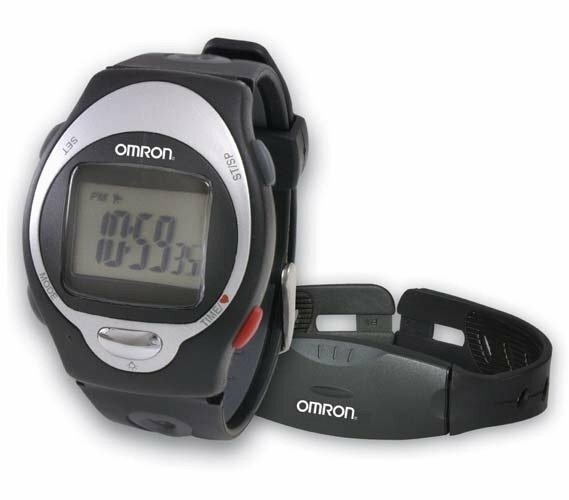 This is the most basic Heart Rate Monitor offered by Omron and is available for only $34.99 on Amazon and other leading stores. The HR-100c comes with a chest transmitter to transmit the signals to the Display unit which takes shape of a watch. The transmitter is really comfortable to wear with the provided strap and is to be mounted right above your abdomen, beneath the breast. It emits accurate signals at ranges as far as 98meteres from the display unit, even under water. The display unit is light about 7.2 ounces and comfortably fits on your wrist with ventilated bands. It gives of a boring sports watch like look and we are not a big fan of its design. The unit features a power button and four buttons to adjust setting on sides. The display is back-lit and really clear. As soon as you glimpse at the unit you’d see time in bold large letters. On right of the time, the alarm status and heart beat alert is displayed. And stop watch statistics are displayed at the top of display. The unit can be mounted on a treadmill or even a cycle, anywhere at a distance of 98 meters from the transmitter. The HR-100C effectively measures the heart rate and displays it to the user. But the question is why use the device or what good does figures such as heart rate do? Heart Rate actually is very important while you are training. Unless you train with the correct heart rate intensity, your workout won’t do you any good. Each activity requires different heart rate zones, like the fat burning zone and muscle development zone can never be the same. If you train without keeping heart rate in mind you are actually wasting your time, effort and energy. The HR-100C comes to great use here. It not only measures your heart rate but also alerts you if you are crossing over a specific zone or are training under the required zone. Different zones can be programmed by the user according to requirement. Keeping the optimal heart rate in check more can be achieved in lesser time. 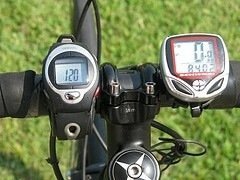 Although the HR-100 C is a great fitness device, it has been made clear by the company that it is not medical device and should not be used in any case to monitor health or body vitals. Also it must be kept in mind that the transmitter, transmitting electric signals may or may not interfere with devices such as pacemaker or other implanted devices. Physician should be consulted before using the device to discuss its possible consequences. We really liked how efficient the device was despite being priced so low. It is really very east to set up, a piece of cake for even a tech rookie. Again if you need extra features such as calorie counting, average heart rate or GPS location then obviously you need to opt for more advanced systems. The device does what a heart rate monitor should do best; monitor Heart Rate.